Lucindaville: How Do You Move A Library? 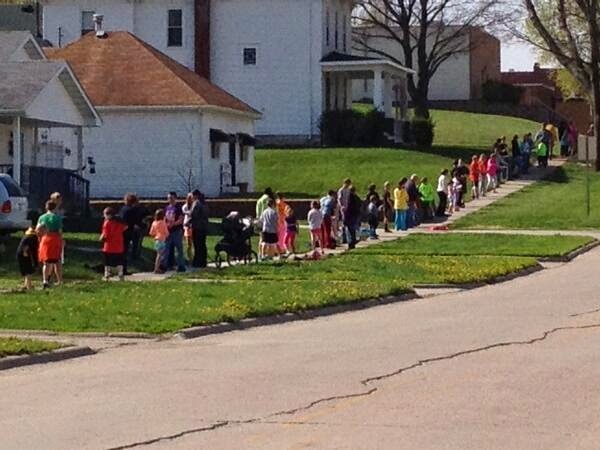 400 of the 690 residents of Stanton, Iowa formed a human chain for nearly two hours as they passed 3000 books from the old library to the new library building. 3000 books that were too large or delicate had already been moved. They have another 2000 to go.